Being a very broad and sometimes hazy topic, it is important to note a few underlying philosophies surrounding existentialism. Two commonly caught-up beliefs are atheism and amoralism. 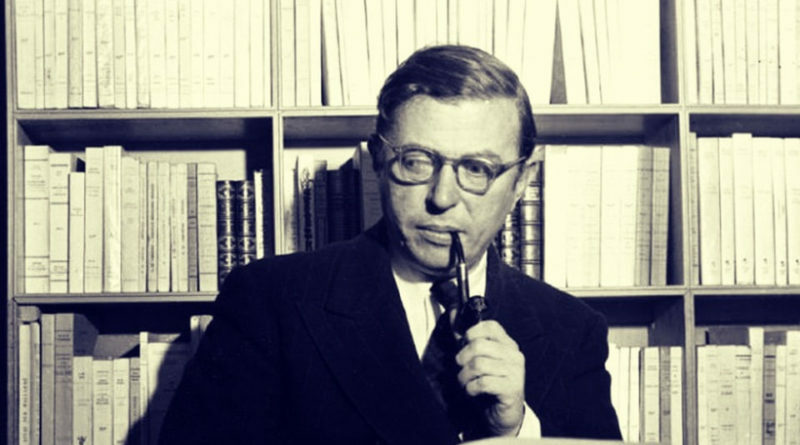 While not all existentialist philosophers were atheists (most notably Barth and Kierkegaard), it is very difficult to be anything else and be a true existentialist because, according to this worldview, the idea of a creator outside of “self” is inherently incompatible, or at least unrecognized. And to consider surrendering to an outside force is unthinkable. Amoralism is—as the name suggests—the denial of absolute morality. In fact, it rejoices that morality is personally defined and enacted. As Neitzsche put it, “You have your way. I have my way. As for the right way, the correct way, and the only way, it does not exist.” You may have already noticed the similarities between existentialism and humanism. They both look to mankind as the individual definer—the ultimate reality. Finally, existentialism gives birth to nihilism, which posits, and even revels in, the anguish, misery, and meaninglessness of humanity. Existentialism needs to be addressed. Though it may seem pointless or even absurd at first glance, imagine how tempting this philosophy is for someone battling depression or struggling with the weight of life; it whispers “stop battling, sink deeper, weigh more, wade lower.” Yet in reality, it is a self-inflicted defeat for a worldview to posit that you give meaning to life, but in the end, the meaning that you mean is meaningless. This sort of absolute absurdum is a poison for modern society. Suddenly, all crime becomes arbitrary, all pain becomes permanent, and all truth becomes optional. Such a world is devoid of justice, compassion, and virtue. Arguably, these qualities are the deepest cries of the human heart. They cannot be ignored, but they can be rejected in subscribing to a worldview that hates them – that celebrates injustice, self-centeredness, and futility. Who wants that? Perhaps no one really wants this world. But there is one temptation that people fall into more than any other: autonomy. People will sacrifice rationality, conviction, and entire belief systems for autonomy, in essence, for being their own god. Anyone who is familiar with Christianity knows that Christ’s first call to us is “deny yourself”— deny self-sufficiency, self-government, and self-preservation. Here is the real crux of existentialism: people would rather mire in the pit of ignorance and anguish than come to terms with their limitations in comparison to an Almighty God. A misconception within Christianity is that God promises autonomy; he does not. He promises freedom. Freedom comes through giving up ourselves and our wants or plans to him. For philosophers, for thinkers, for people in general, this is a hard word. But think about it– if we are all living for ourselves, society becomes a pack of ravenous wolves, feeding off of each other at the slightest hunger. This is a society that will end in destruction, and, ultimately, total collapse. For this reason, existentialism may sound easier than surrender, but in the end, it is far more deadly. So damaging are its teachings that it promotes suicide and self-destruction, as in the case of Ernest Hemingway. Nietzsche put it this way, “The thought of suicide is a great consolation.” Sadly, in their flimsy attempts at individual self-preservation, existentialism and nihilism will eat you alive.